Picture to the right shows macromolecules in the brain blocking normal function. As you know, the Golden Keys to right living and health are exercise, healthy diet and positive thinking. While the body has been the primary focus of health in the past, it has become clear that the head and brain are in need of direct care. With brain pathologies like Dementia, Alzheimers, MS and Parkinson’s a possibility down the road, what can we do to prevent them from happening to us? Knowing what causes these pathologies and what enables the body to eliminate the causes, may help. As we know, the build-up of macromolecules in the brain and the effects of these build-ups on the brain, are targeted as causes of many brain pathologies. So the question is, how does the body remove macromolecules from the brain so they do not build up there? So, isn’t it wonderful that taking care of the face, sinus and scalp lymphatics will also allow the brain to drain? Is there anything you can do for yourself? What can you do at home? A couple stretches that are helpful to the good function of face and scalp lymphatics are as follows. Face and sinus skin stretches are done by gently and fully smiling and counting to yourself as you smile, “one one thousand” and then gently releasing the smile and repeating the smile 5 times per session. Repeat morning and evening. Mini Scalp stretches can also be accomplished by brushing the hair with a soft brush or fingers while allowing the brush or fingers to make contact with the scalp lightly as you brush or finger comb your hair. Brush gently from top midline toward each side of head respectively and strait down on the hair on the back of head. (Start by detangling hair from bottom of hair to top, to allow a smooth slow glide when brushing hair.) Gently brush hair 5 brush strokes at a time. Count “one-one-thousand” per stroke in your mind, as you slowly stroke hair along scalp toward neck each time. Repeat morning and evening. In addition to home care, another option to consider is investing in Manual Lymphatic Drainage for the face, scalp, neck, and shoulders. 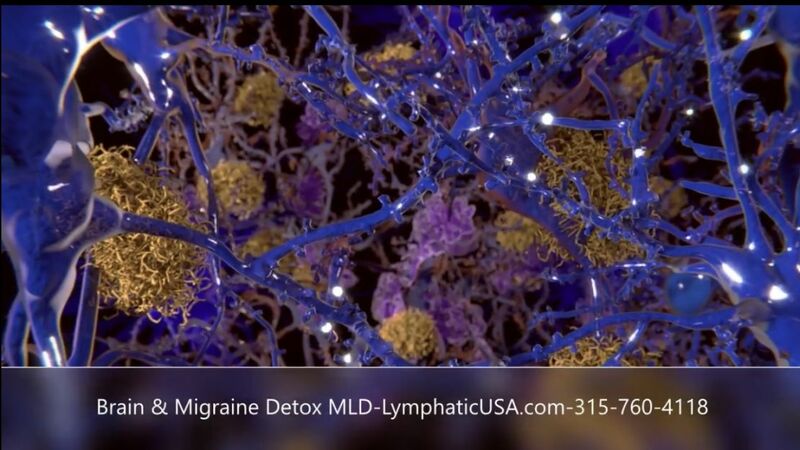 Brain and Migraine Detox is designed for the lymphatics that drain the brain, including the scalp, face, sinus, neck and shoulder lymphatics. Visit me at Lymphaticusa.com where online booking is now available. The 45 minute Brain & Migraine Detox (Manual Lymphatic Drainage session) is designed specifically for this detox care. I look forward to getting to know you and being of great service. Lymphatic drainage system of the brain: A novel target for intervention of neurological diseases. Sun BL, et al. Prog Neurobiol. 2018 Apr-May.